There are a couple reasons to use a pre-shave, but the main purpose is to condition the skin and the stubble in a way that improves the shaving experience. Your skin should be moisturized and your beard softened making the cutting of the hairs easier. Some products do add a layer of lubricant as well, but that may not be critical if your shave cream is good quality. This classification of products could be of great advantage for those who suffer from sensitive skin and get rashes, razor burn or other discomfort after shaving. Start your routine by cleaning your face with warm to hot water as you find comfortable, preferably using a good face scrub or face cleanser. The hot water helps open pours and soften the hairs. Next take a dime-sized amount of pre-shave oil, rub between your palms then apply to you face, best moving against the grain. 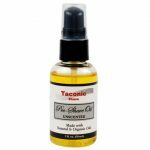 The oil helps condition the skin and soften the hairs, so adequate contact and absorption are part of the routine. Check the product to see if they recommend waiting before lathering or if you go directly to the shave. You can apply during showering to take advantage of the effect of the steam and the extra time to help the product work. Apply your lather then enjoy your shave! 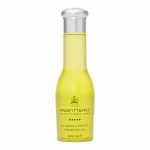 Truefitt and Hill pre shave oil contains ten essential oils formulated to hydrate, lubricate and help with healing and conditioning your skin. Apply and enjoy the great scent. Edwin Jagger offers a lotion in a tube. Application leaves a cooling sensation from the menthol used in the formula. Ingredients are 99.9% natural and paraben free. The lotion hydrates the skin and hairs by increasing the water absorption of the hairs, and creates a thin layer to helps decrease the effect of the razor against the skin reducing razor burn. Unscented. With a sandalwood scent, Peregrine pre-shave oil works by softening the hairs and forming a lubricating layer. The Baume.Be line was created by a gentleman from Belgium who suffers from sensitive skin. His line includes a pre shave gel, shave soap, shave cream and an alcohol free aftershave balm. 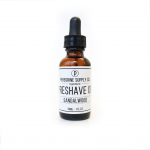 The pre-shave is a gel the helps to soften and lubricate. Containing aloe juice and other extracts, Crown Shaving Co pre shave is non greasy and non oily. Hydrates, lubricates and protects with a range of botanical extracts. 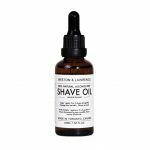 100% organic ingredients -Vitamin E, organic safflower, organic castor and grape seed oil SSoftens the beard, lubricates to help prevent razor burn. Unscented. Vegan made, contains grapeseed oil, jojoba oil, castor oil, tea tree oil, lavender oil, and eucalyptus oil.Protects and moisturizes.